September may be the beginning of fall, but at Heritage Woods of Huntley, residents are still in spring-mode. 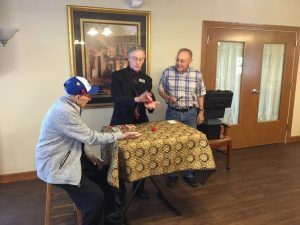 Residents always enjoy when we have entertainment for them to enjoy, especially when they have an opportunity to watch children show off their talents. Recently, we had 10 students from a music school perform during a piano recital. 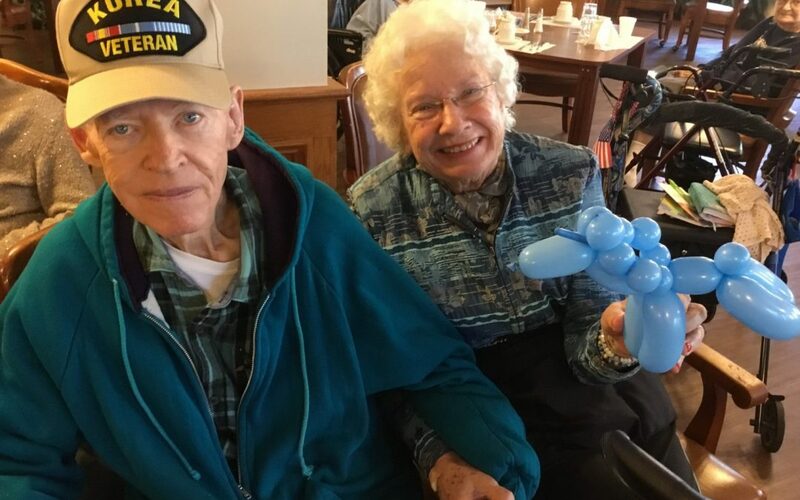 Magic was in the air when a magician came to perform for us by making flowers and animals out of balloons, pulling rabbits out of hats and doing card tricks. Thankfully, none of our residents disappeared! Healthpro, our local therapy service, did a presentation on Brain Power and how to to keep our brains active by participating in activities offered at our community. The life of Greta Gable, an icon of films from the 1920s, was presented by Carol Bradley telling us about everything from her rise to fame to her love life. Spring was definitely in the air when we had our Petting Zoo. The goats, sheep, chicken, ducks and calf were all happy to see us and be fed. Besides the extra entertainment we have this month, some of our regular activities – bingo, word games, sightseeing trips and Jeopardy – are always enjoyable.